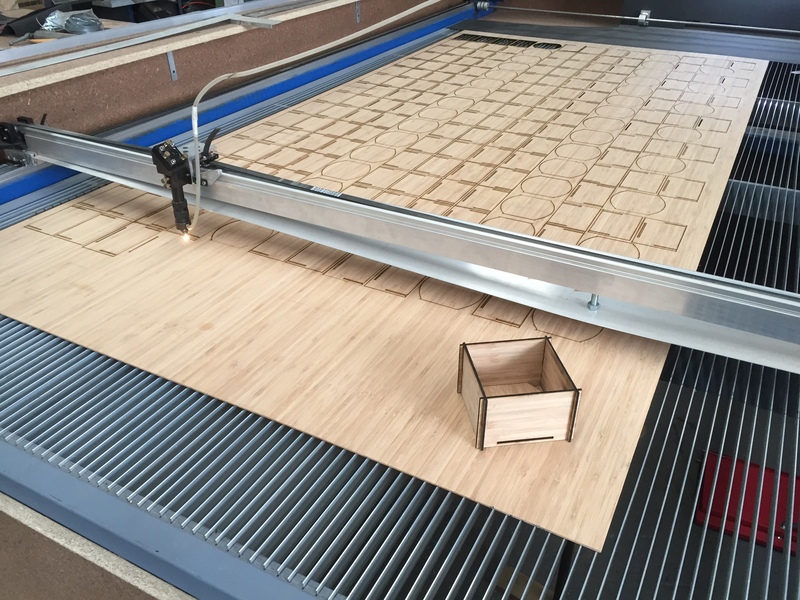 Our large format laser can cut 2.4m wide x 2.6m long material. 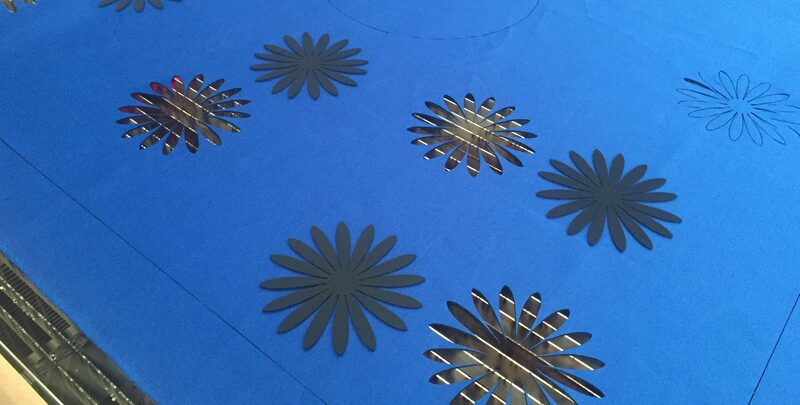 Combined with our nesting software, we can get the highest yield (Cutouts) out of your material. Here we are cutting hundreds of bamboo shapes required to make boxes. 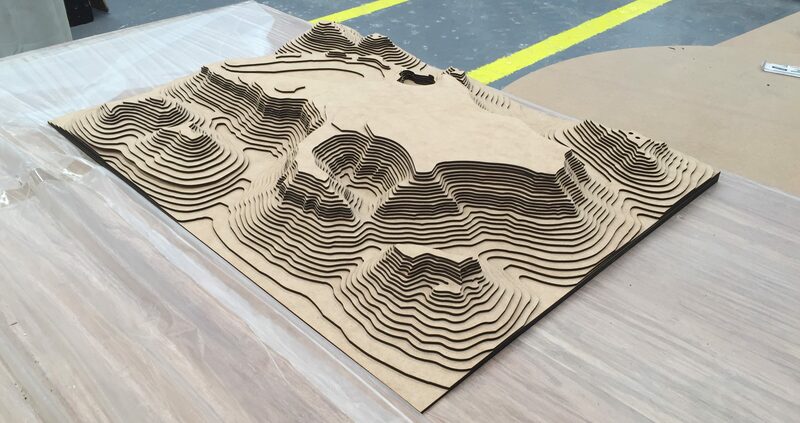 MDF up to 5mm thick is cut for architectural and topographical models. We laser cut acrylic up to 12mm for signage, engineering and presentation purposes. 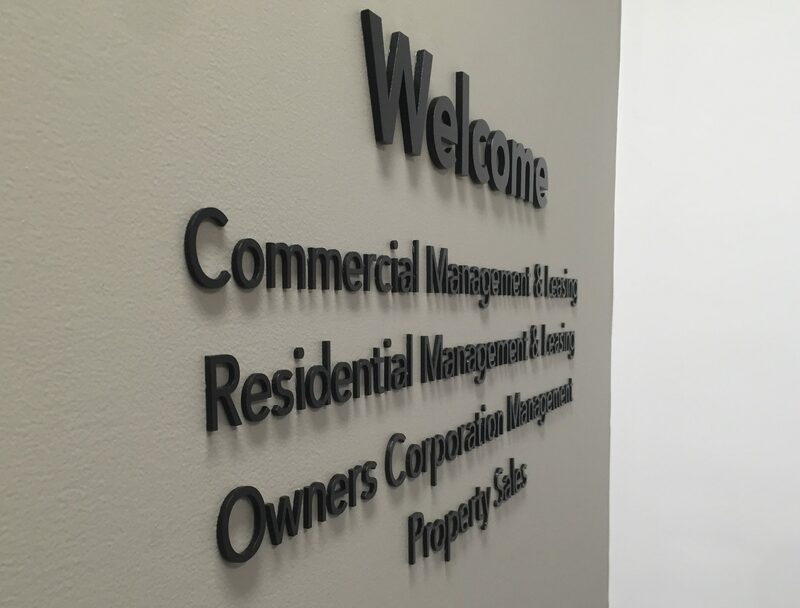 4.5mm tinted cast acrylic was used on this job for signage purposes. This compliments the Laser Etching we put onto the Bamboo board. Solid black acrylic is a common material for us to laser cut for a variety of applications. Simple, elegant and clean. We have a lot of a experience with fashion designers cutting difficult and delicate materials such as this organza. Scuba knit is another example of a challenging material to cut accurately using other methods. We also work with leathers, cottons and cotton blends, polyesters, rubber backed materials and a raft of other materials for both fashion and industrial industries.